This five-week course introduces you to a selection of power tools and how they are used in cutting and joining plywood by routing rebates and drilling. 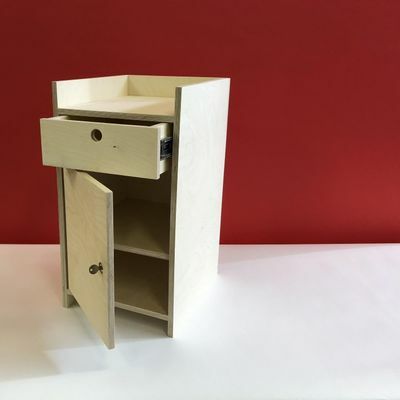 You will also learn to create functional elements including an adjustable shelf, a drawer and a locking door. You will master common and versatile techniques that can be employed reliably across a range of woodworking projects. 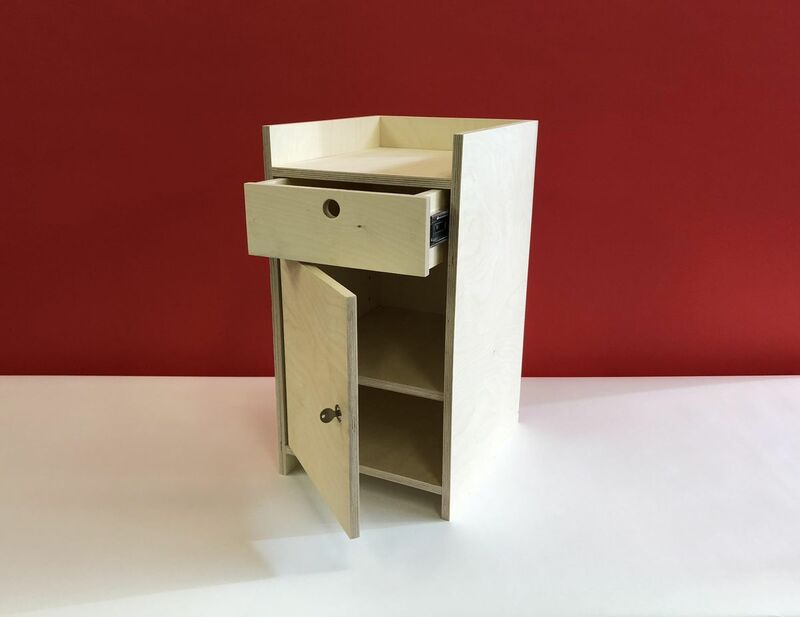 At the end of the course you will have constructed a well-made , multifunctional, bedside cabinet to take home. This course is part of our Plywood & Power Tools series, designed to introduce to you a range of modern joinery techniques. This course will be led by Patrick King. Patrick originally trained in London as a multi-disciplinary designer. His work combines digital and analogue tools to design and produce objects ranging in scale from furniture to temporary and permanent architecture. Please note that refunds and/or changes to ticket are available up to 7 days before course start date.